Some of the first letters from ex-pupils serving on the Western Front in 1914 had spoken of ‘exciting times up in the trenches’, but by early 1915 news was filtering through of harsh weather causing dreadful conditions. Wet weather at home was also causing problems by holding up building work on the chapel; rainfall for the Holt area in the winter months is normally about 2-3 ins per month, but in December 1914 and January 1915 the total was 11 ins. House matches had been abandoned in favour of drill with the Corps, and pupils had to get up even earlier for lessons with the introduction during January of Daylight Saving Time due to concerns over the School being a well-lit target for Zeppelins. In fact, by the 27th January when this was introduced, there had already been a raid. Two Zeppelins, the L3 and L4, trying to find the Humber, had lost their course in the wintry conditions of the night of 19th January and found North Norfolk instead. The first one dropped bombs on Great Yarmouth, killing two people and injuring three others. The second crossed the coastline over Bacton and passed by Cromer. 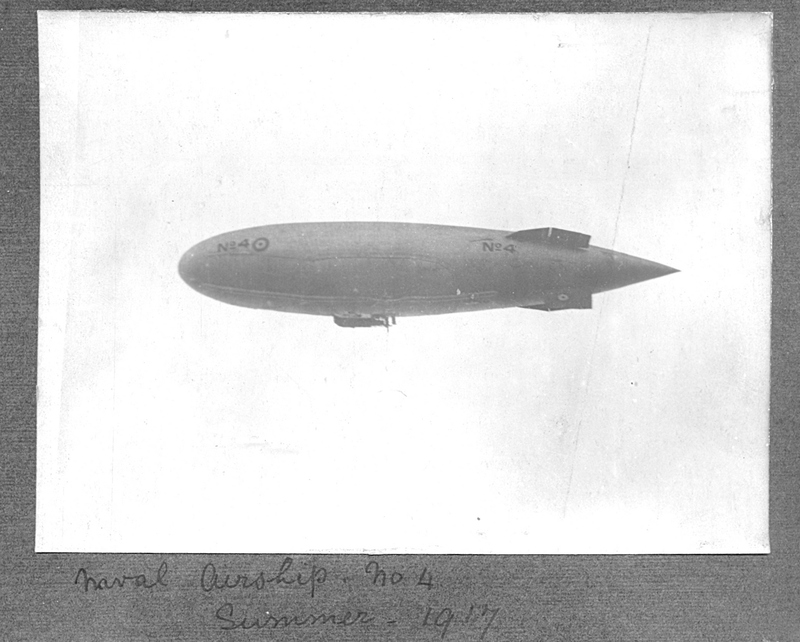 Zeppelin photo which was in an album of photos taken by Gilbert Wilson (geologist) who attended from 1913-17. Some of the residents of the junior house were also frightened and had to be gathered round the fire and read stories to calm their tears. Young pupil Geoffrey Diggle, however, was disappointed the Zeppelins had not caused more damage than the six small craters that appeared in a turnip field. He also recalled the housemaster praying for a quiet night at evening prayers following the raid. The attack of 19th January caused a great sensation in Norfolk, bringing the reality of war close to home and invoking mixed feelings in the School of excitement and fear. Mr Wynne Willson’s detailed journal of life on the home front at Holt is one of the sources we use from the School Archives to help bring this period of history to life for our Year 9 pupils. It is featured heavily in our centenary exhibition Gresham’s at War: 1914-18 which will be available online on the re-launched Old Greshamian Club website in January (www.ogclub.com/archives). This entry was posted in Schools and tagged greshams, holt, zeppelins. Bookmark the permalink. ← Fact and Fiction meeting.